Earlier today via twitter we learned that Jason Williams, a 5’11 PG from Detroit Michigan has committed to play basketball at ETSU. Williams is the second recruit from the 2016 class to sign with ETSU, Aaron Augustin is the other 2016 recruit who signed earlier this month. 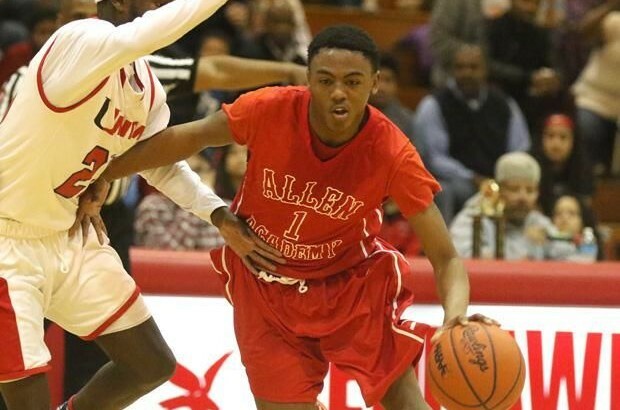 As a junior Jason Williams averaged 26 points, 7 assists, and 6 rebounds for Allen Academy. He has already recorded over 1,000 points and 300 assists in three years at Allen Academy, he additionally scored over 40 points in three games this season. Williams is said to be blessed with superb speed, agility, and athleticism for a sub six-foot guard. Williams reportedly had strong performances at the Under Armour Invitational and Las Vegas Fab 48 where he caught the eye of several college coaches. Arkansas State and North Carolina A&T offered on spot in Vegas and ETSU offered a few weeks later.